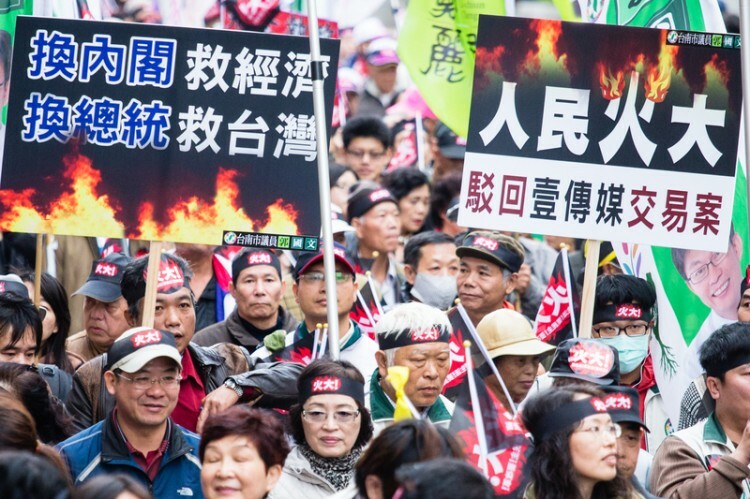 TAIPEI, Taiwan—Since last July Taiwanese have been concerned about the control of their television airwaves by interests that are aligned with the Chinese Communist Party. 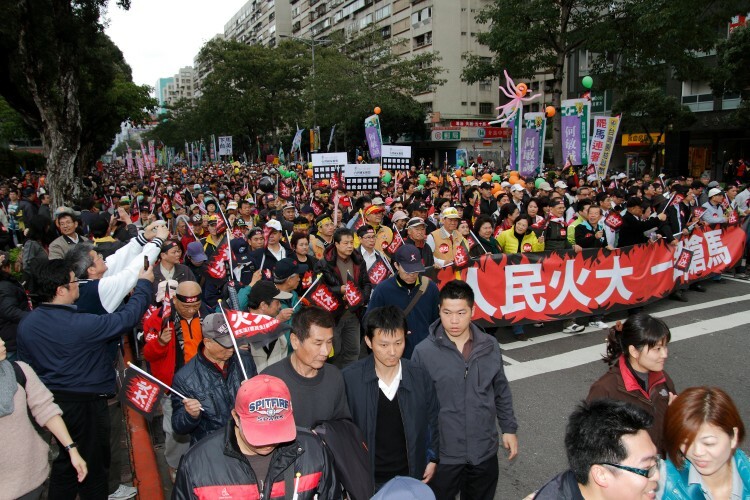 A march of tens of thousands on Sunday expressed that frustration, as well as opposition generally to Ma Ying-jeou, the president and head of the Nationalist Party, whose administration has been characterized by China-friendly policies. The sale is particularly troubling to Taiwanese, who see it in the loss of another independent news service, in this case the Hong Kong-based Next Media. Tsai has been criticized for his pro-China stance, and critics believe that his advertising revenue from the mainland, along with other business interests, lead to news censorship. A recent opinion poll by cable station TVBS said that 70 percent of the public was dissatisfied with Ma. This was largely due to the media acquisition case. President of the Association of Taiwan Journalists, Chen Hsiao-yi, said that more than 600 scholars and 9 members of the Academia Sinica who are opposed to the merging of Next Media with Want Want, have petitioned to meet President Ma to tell him about Chinese mainland infiltration of Taiwanese media. Chen believes that there is widespread discontent about Taiwan’s loss of media freedom, and that Ma has done far from enough to respond.